The full drum sheet music for “Believer” by Imagine Dragons from the album Evolve (2017). Daniel Platzman uses a large concert bass placed to the left of his hi-hat. 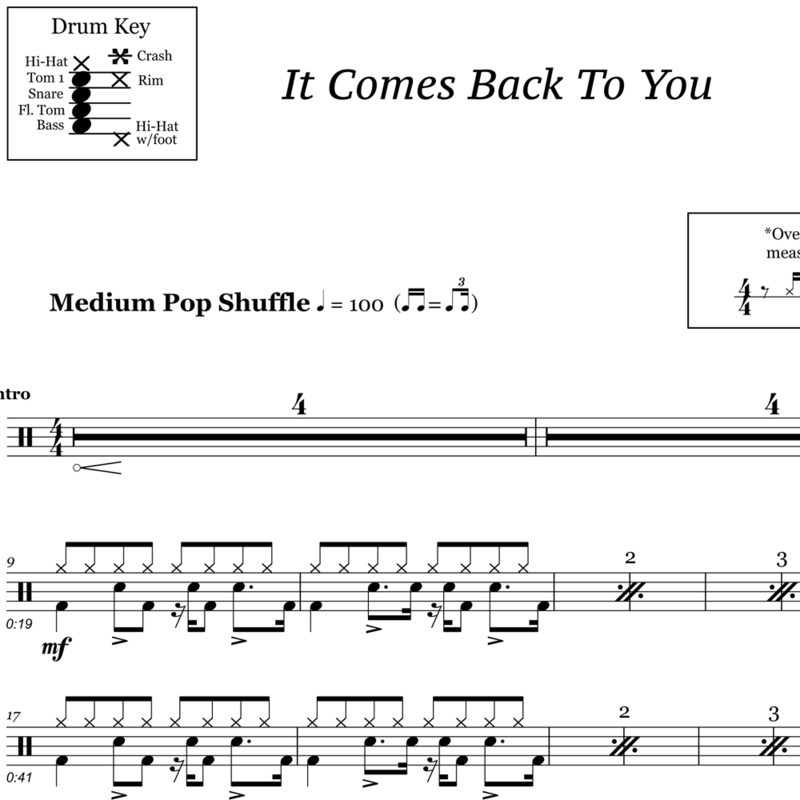 In this sheet music, we’ve notated this as a floor tom (see substitutions note below) to fit the more traditional drum setup. If you have a second floor tom, you can experiment with moving it to the left of your hi-hat to mimic Platzman’s setup. Of course, this isn’t necessary. The drum part is just as fun to play with a standard setup. 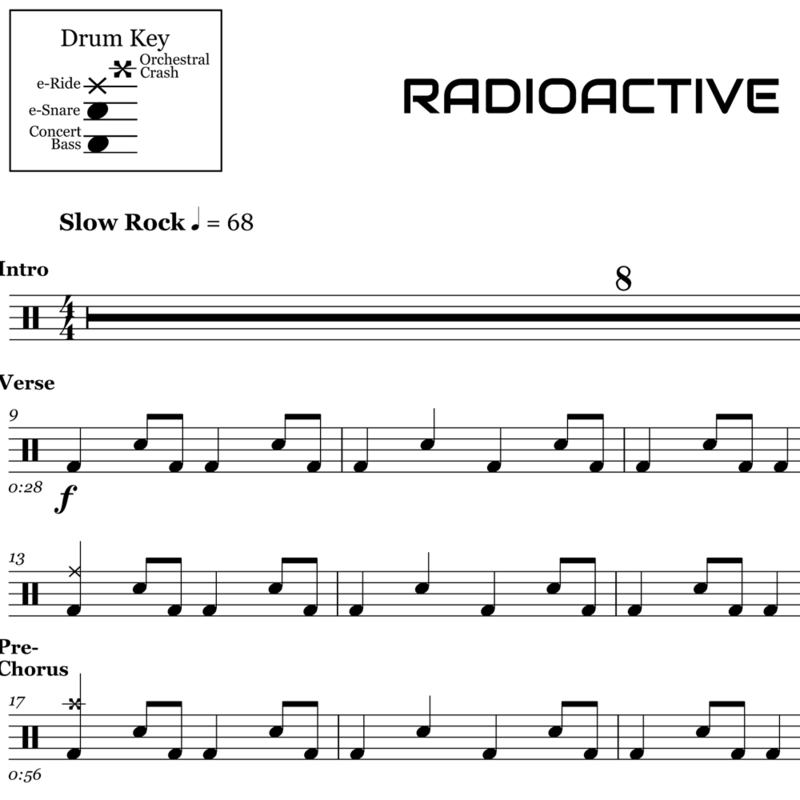 The full drum sheet music for "Whatever It Takes" by Imagine Dragons from the album Evolve (2017).